Market Segment Codes are required and you must have at least one. A market segment is a demographic or type of guest; i.e., "What brings you to our city" or "what brings you to our hotel?" However, you may use this information in any way you wish. Several reports print market segments or market segment analyses. Sample market segments: Sports, Vacation, Corporate, Military, Education. Some hotels further break these down by Transient-Sports, Group-Sports, Transient-Corporate, Group-Corporate, etc. "Market segment code" is the record key and cannot be changed. The code may be up to four alphanumeric characters. At look-up the market segments will display in order by code (not by description) with numbers before letters. For example, 1WEB will display before COR which will display before MIL. "1. Description" may be up to 30 characters. "2. Gen ledger acct -DR" may be left blank if G/L accounts are defined in RC* in Charge Code Setup. If you wish to use separate G/L accounts for different market segments you may do so. Enter the G/L account to DEBIT when RC* is posted to a guest with this market segment code. If you do not know what to enter, consult your accountant. Execu/Tech does not offer accounting services of any kind. If you do not use Execu/Tech's Back Office® accounting system or one of our interfaces to a third-party accounting system, you may leave this field blank. "3. Gen ledger acct -CR" may be left blank if G/L accounts are defined in RC* in Charge Code Setup. If you wish to use separate G/L accounts for different market segments you may do so. Enter the G/L account to CREDIT when RC* is posted to a guest with this market segment code. If you do not know what to enter, consult your accountant. Execu/Tech does not offer accounting services of any kind. If you do not use Execu/Tech's Back Office® accounting system or one of our interfaces to a third-party accounting system, you may leave this field blank. "4. G/L Journal Code" may be left blank if G/L accounts are defined in RC* in Charge Code Setup. If you wish to use separate G/L accounts for different market segments you may do so. Enter the G/L journal code to apply when RC* is posted to a guest with this market segment code. If you do not know what to enter, consult your accountant. Execu/Tech does not offer accounting services of any kind. If you do not use Execu/Tech's Back Office® accounting system or one of our interfaces to a third-party accounting system, you may leave this field blank. "5. 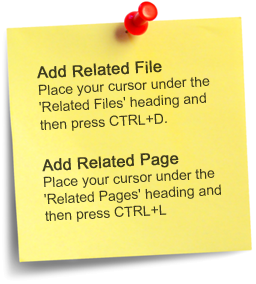 Central resv code" should be left blank unless advised by Execu/Tech. "6. Active?" may be set to N if you no longer wish this market segment to display at look-up. "7. Room charge code" is an optional field used if you wish to assign a specific room charge code (RC*) to this market segment. For example you may enter RCM to a MIL market segment so that RCM posts rather than RC for MIL guests. This room charge code must be a valid Charge Code . "8. Print rate on reg form?" may be set to N if you do not wish the rate to print on the guest registration form.